NutraPre enters prenatal nutrition market with alkaline water. Imagine a pregnancy without morning sickness, we’re thrilled to offer a product that can benefit pregnant mothers unlike anything else they’ve tried. 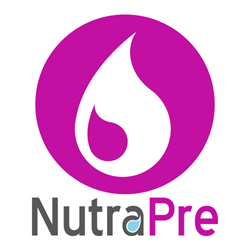 NutraPre today announced the nationwide release of its prenatal vitamin alkaline water, a revolutionary new beverage for pregnant women to prevent morning sickness and promote overall heath. Engineered with advanced nanotechnology, this beverage contains essential prenatal vitamins and alkaline minerals with the look and taste of water. “Imagine a pregnancy without morning sickness,” NutraPre CEO Eddie Cameron said. “We’re thrilled to offer a product that can benefit pregnant mothers unlike anything else they’ve tried.” Many pregnant women experience morning sickness because of a sudden shift in their body’s pH levels. Their baby’s demand for alkaline minerals leaves the mother’s source depleted and can lead to nausea and vomiting. Drinking NutraPre rebalances the body’s pH levels and replenishes the mother’s stores of alkaline minerals, thus preventing morning sickness. More than 75 percent of women will experience some form of morning sickness during their pregnancy. About 50 percent of pregnant women will experience both nausea and vomiting and about 25 percent will experience only nausea. While morning sickness is not dangerous, it can be extremely uncomfortable and debilitating for many women during the first trimester of their pregnancy. About NutraPre: NutraPre is a revolutionary new product that uses advanced nanotechnology to deliver superior nutrition to expectant mothers. These nano-sized nutrients allow NutraPre to deliver nutrition directly into your cells for more complete absorption. NutraPre also includes all of the most highly recommended prenatal vitamins, including folate, the natural form of folic acid. The advanced science behind NutraPre also allows all of these benefits to be delivered without added flavors or artificial sweeteners. NutraPre can be ordered online and will soon be available in stores nationwide.